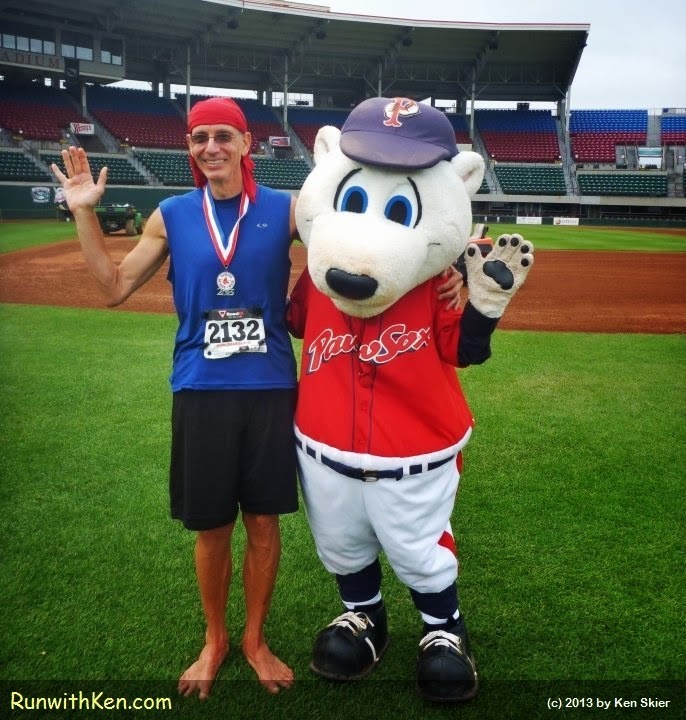 Barefoot Runner wins award at PawSox 5K! At McCoy Stadium in Pawtucket, RI. Finished in 23:48--40 out of a field of 300. A 7:40 pace. Immediately after the race, the posted results showed me first in my category of 13 men...but then it turned out that one unidentified runner, who beat me by 4 seconds, was also in my category. So I took second place. But I still felt mighty good!